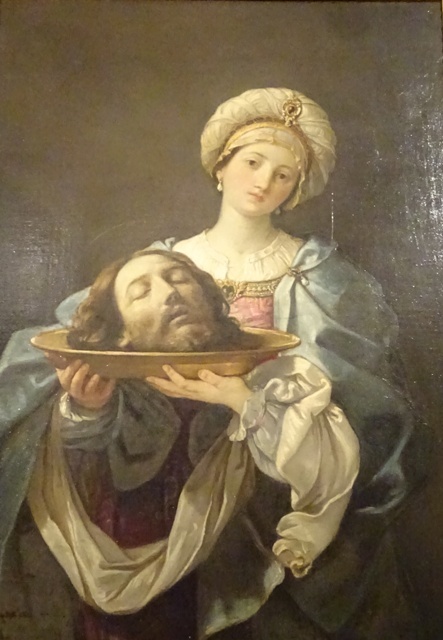 Salome with the head of John the Baptist – Guido Reni. Just outside Trastevere, one can find the Palazzo Corsini. It is home to the Galleria Corsini, one of two locations of the Galleria Nazionale d’Arte Antica (the other being the Palazzo Barberini). Although I have been to Rome several times and almost always stay at a hotel in Trastevere, I had never yet visited the Galleria Corsini. I am glad I did on my last trip to the Eternal City. 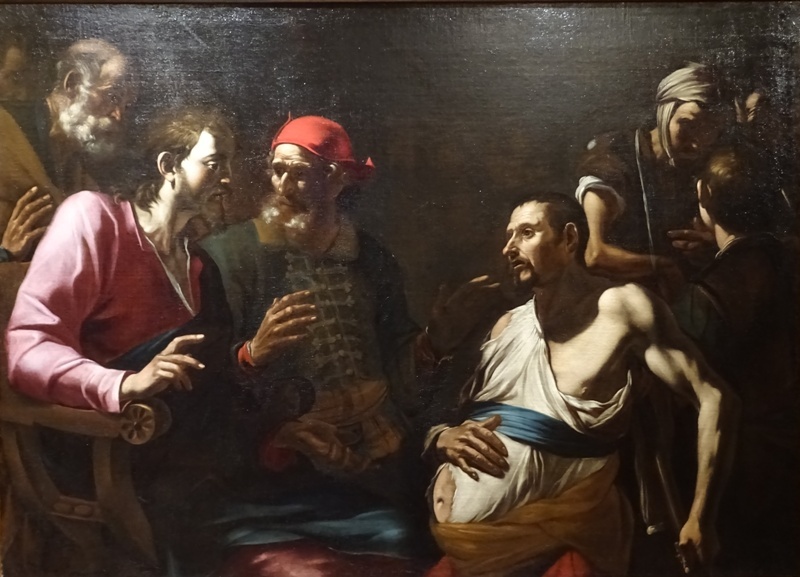 The Galleria Corsini is an interesting, though somewhat chaotic museum, which has a certain charm of its own. The Palazzo itself, located in the Via della Lungara, was built in the early sixteenth century for Cardinal Riario. Construction was completed in 1511 or 1512. Although one of my sources gives his name as Domenico Riario, he was most likely Raffaele Riario (1461-1521), a kinsman of Pope Sixtus IV and a patron of the arts. He was the man who, in 1496, invited the great Renaissance artist Michelangelo Buonarroti (1475-1564) to come to Rome. Many famous guests have stayed at the Palazzo Riario: Michelangelo himself, Bramante, Erasmus and the former Queen Christina of Sweden, who lived here from 1662 until her death in 1689. Christina was a remarkable woman. She was the daughter of the Swedish King Gustav II Adolph, nicknamed “The Lion of the North”, who died in battle in 1632. Christina was six years old at the time and succeeded her father as the only surviving legitimate child. Highly erudite and educated, she refused to marry, abdicated in 1654 and converted from Lutheranism to Roman Catholicism. She moved to Rome and became a prominent figure in the Counter Reformation movement. One can still admire her bedroom in the Palazzo. 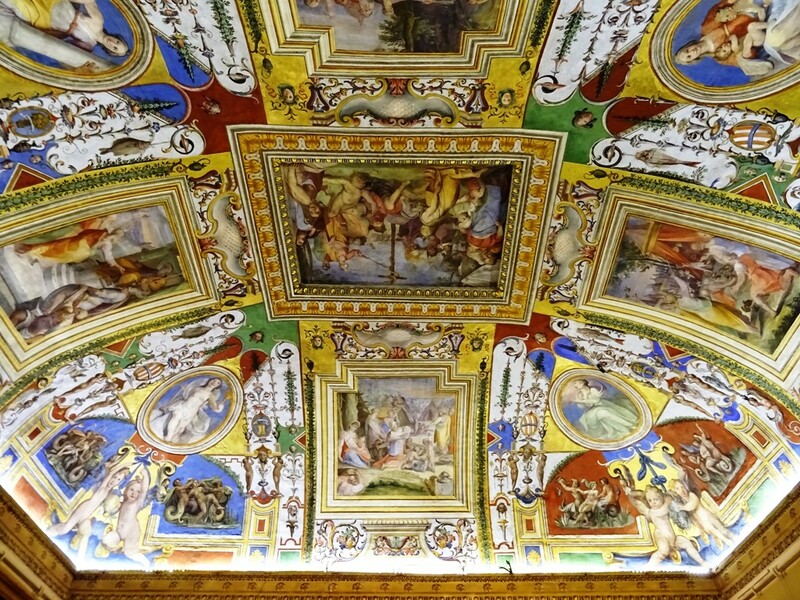 It is easily recognisable because of its highly decorated and colourful ceiling. Ceiling of Christina of Sweden’s bedroom. The Palazzo was completely remodelled for Cardinal Neri Corsini (1685-1770), a nephew of Pope Clemens XII, between 1732 and 1736. The architect in charge was Ferdinando Fuga, who was also responsible for Santa Cecilia in Trastevere‘s Baroque facade. The palace was subsequently renamed the Palazzo Corsini. The renamed palazzo was the scene of an important historical event in 1797. In December of this year, French general Léonard Mathurin Duphot was shot here by papal troops while trying to incite a Republican revolt against the Pope. This provided the French with a pretext to invade the Papal States and arrest Pope Pius VI, who died in captivity in 1799. The Galleria occupies just a small portion of the Palazzo, which also houses the scientific Accademia dei Lincei – Academy of the Lynxes – which was founded in 1603 and of which Galileo Galilei was a member. The Galleria has just eight rooms, including the Anticamera where you buy your tickets. The walls of the eight sale are crammed with paintings and they are hung so close together that there is no more space for captions. Plastic-coated information sheets can be found in all of the rooms, but the information on the sheets does not always seem to match with the current situation on the walls. 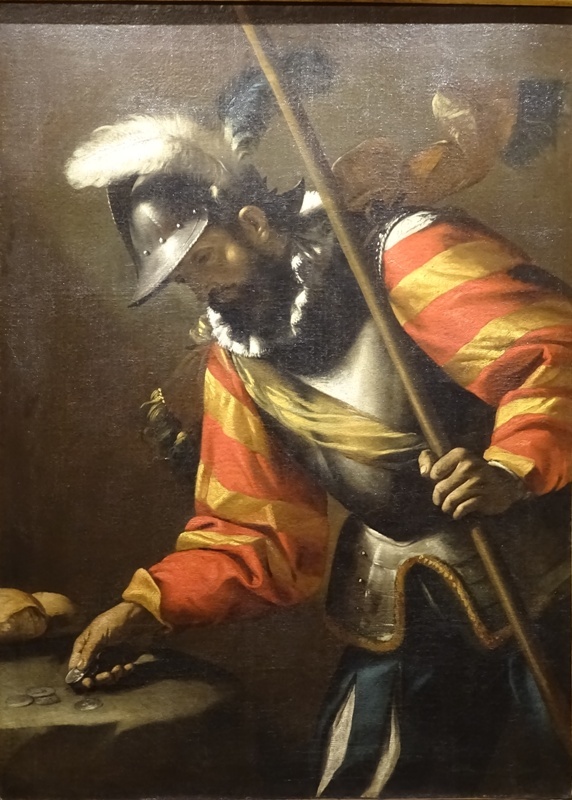 All in all, the museum is a bit chaotic, but if you take your time, you will notice that the Galleria Corsini has some very interesting works by well-known artists such as Peter Paul Rubens (1577-1640), Antoon Van Dyck (1599-1641), Annibale Carracci (1560-1609), Caravaggio (1571-1610) and Guido Reni (1575-1642). The museum also has some late Medieval work, mostly altarpieces or triptychs, by artists like Fra Angelico (ca. 1395-1455). 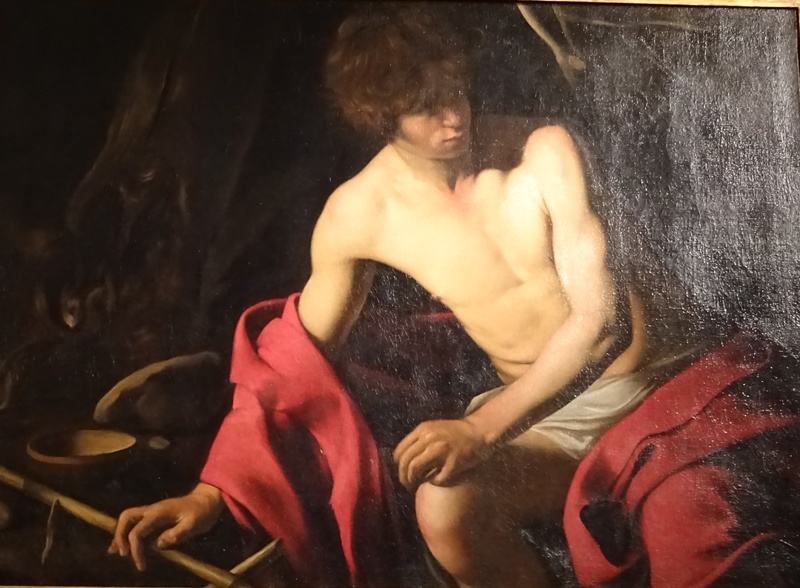 Saint John the Baptist – Caravaggio. 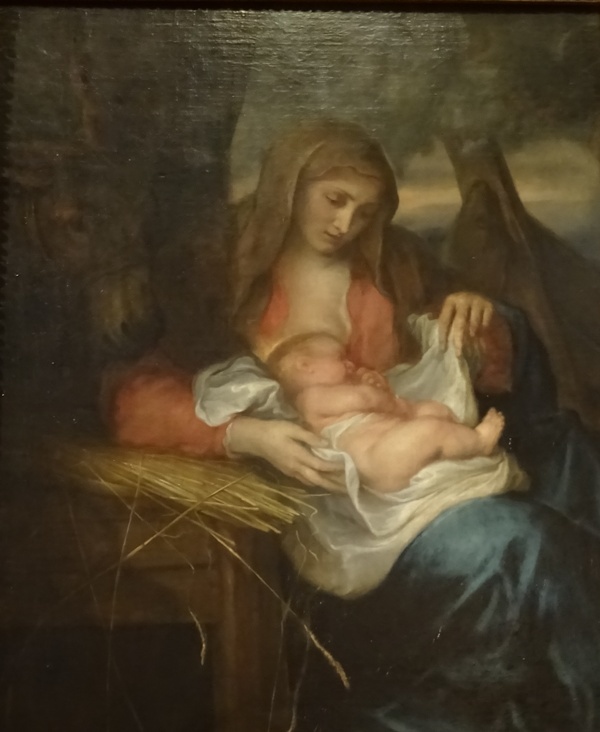 Among the highlights are, in my opinion, Van Dyck’s Madonna della Paglia (Madonna of the Straw; see above) and Caravaggio’s unusual depiction of Saint John the Baptist as a young man (right). The latter painting dates from about 1606 and was only attributed to the artist in 1927. Other interesting paintings include Reni’s Salome with head of John the Baptist (see above) and Rubens’ Saint Sebastian healed by angels. The Corsini collection also includes many works by Italian painters of the seventeenth and eighteenth century. Miracolo dell’idropico – Mattia (and Gregorio?) Preti (private collection). A ticket to the Galleria is six euros and my conclusion is that this is money well spent. It is a pleasure to stroll through the rooms of the museum, which is not visited by hordes of tourists.